Pitbull may be known as Mr. Worldwide, but his home city, Miami, is a world unto itself. The Miami-Dade population is more than 40 percent foreign born — around 2.5 million people — with immigrants from Cuba, Venezuela, Nicaragua, Haiti, France, Russia, and more. Each of those populations brings a different vibe to Miami’s neighborhoods and food scene. But there’s one addictive flavor that unites all Miamians new and settled: guava. The sticky-sweet fruit was brought to South Florida from Cuba more than 160 years ago. In the 1800s, guava was a cash crop for settlers in the region, particularly around Coral Gables. Once the seed was planted, it never looked back. Today, the fruit is in an incredible range of treats appealing to Miami’s global citizens, from the classic pastelitos de guayaba sold in Little Havana bakeries to high-class desserts from world-renowned chefs like Antonio Bachour. There are lots of things you should eat and drink in Miami, but no trip is complete without a heavy dose of guava. These are the seven best guava-infused desserts in Miami’s most popular neighborhoods for the next time you’re in the Magic City. In the heart of Little Havana, a two-story ice cream cone juts out from the street’s colorful storefronts. It belongs to Azucar Ice Cream Company, which, as the exterior suggests, serves artisanal scoops of ice cream. It’s not your run-of-the-mill chocolate and vanilla, either. Take the Abuela Maria, for example, which is a blend of crumbled Maria cookies, guava chunks, and tangy cream cheese. 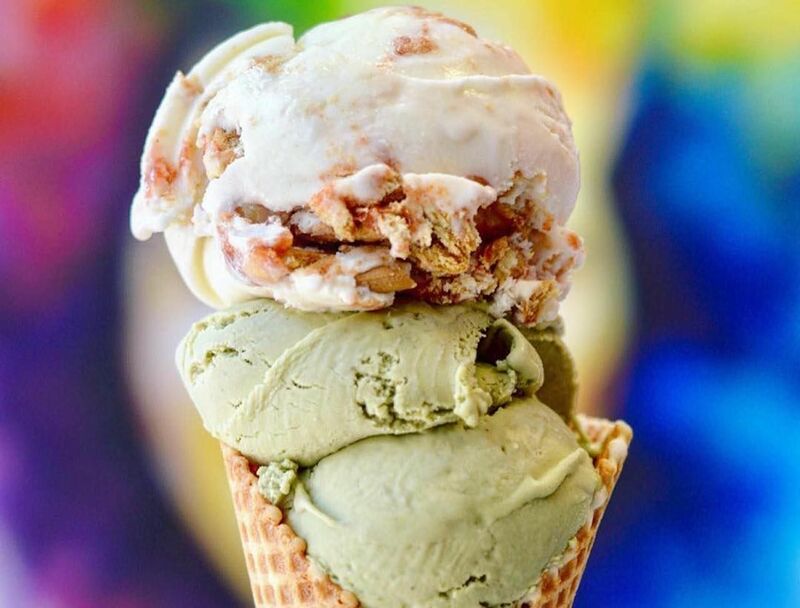 Cool off with a cone after watching an intense game at Domino Park, or eat one for a sugar rush to fuel a night of salsa dancing at Ball and Chain just down the street. 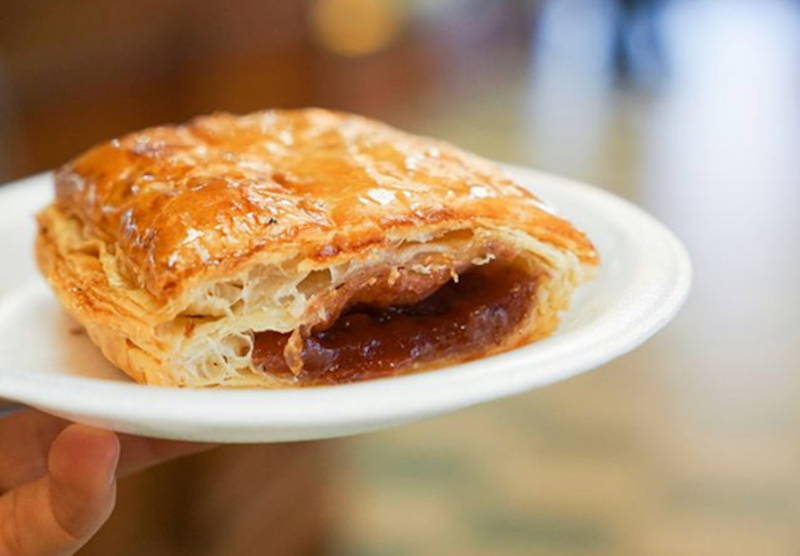 You can find a decent pastelito de guayaba (guava pastry) on just about every corner in Miami, but the king of them all is found at Versailles‘ ventanita (coffee window). Opened in 1971 on the famed Called Ocho, the full-scale Cuban restaurant serves pastelitos de guayaba baked fresh daily with a tangy sweet guava filling that’s squished between layers of flaky phyllo dough. Pair the pastry with a thimble-sized cup of colada, an electrifying shot of black Cuban coffee meant to share with friends. 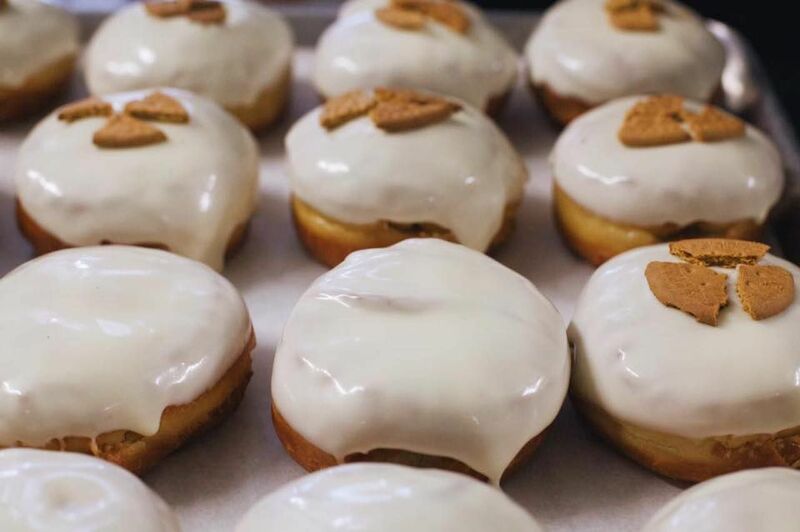 Take a break from shopping at the Design District or The Shops at Midtown with a sweet treat from dbakers, which sits on the edge of both neighborhoods. 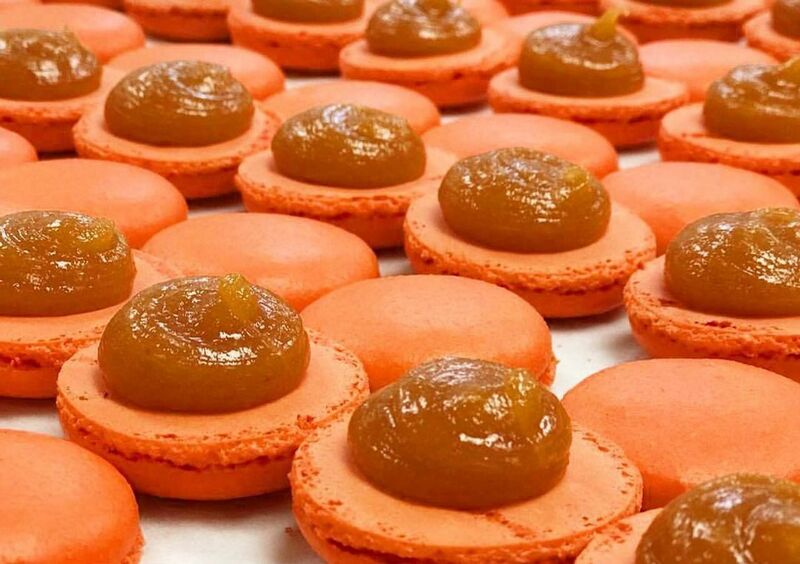 Twin brothers Christian and Giancarlo Guevara, the bakery’s owners, put a French twist on guava dessert with the El Pastelito macaron. The macaron is made with gluten-free guava cheesecake filling squeezed between two plump macaron halves. Thanks to the treat’s popularity, the Willy Wonka-like shop launched a “Macaron Lab” teaching visitors the art of creating the delicate dessert with customizable flavors and fillings. La Centrale’s 14 different dining concepts inside of Brickell City Centre bring an array of drool-worthy Italian delights that Miami’s culinary scene was previously lacking. Visitors can choose from a laid-back lunch at Pizza e Pasta or indulge in an upscale seafood dinner at Pesce, but an absolute must is ending your meal with the Exotic Dome. 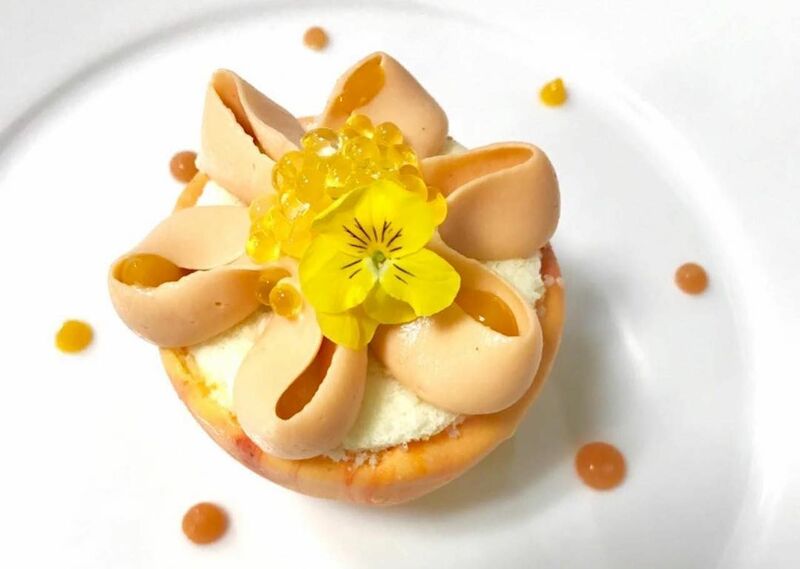 The dessert by pastry chef Sylvain Marrari features a velvety pineapple, guava, and mango crémeux cradled in a hard white chocolate shell and garnished with edible pansy blossoms. The sweet’s presentation fits right in with the shopping center’s opulent boutiques. While acclaimed pastry chef Antonio Bachour may have left B Bistro + Bakery behind, the restaurant’s addictive guava foods remain. Located in Brickell’s bustling business district, the bistro’s never takes itself too seriously, offering a menu that is both upscale and approachable. 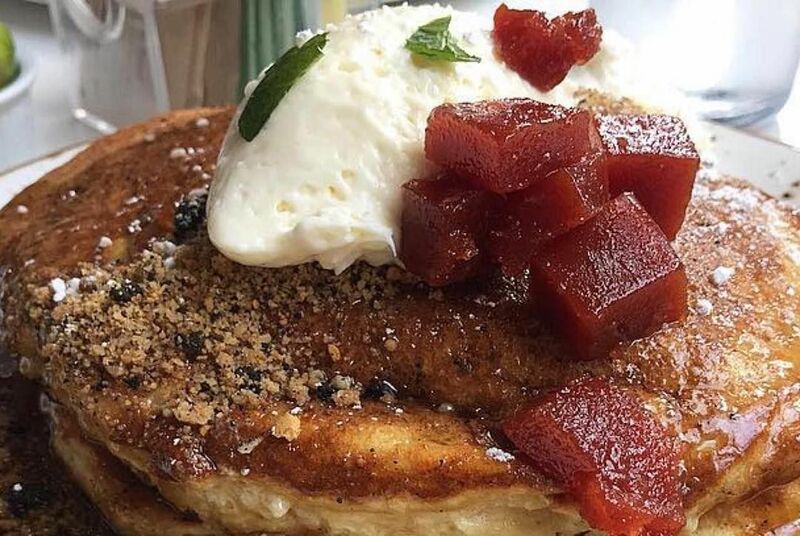 Opt for the pastelito pancakes, which is a fat stack of golden pancakes topped with cream cheese mousse, guava preserve, and a delicate brown butter maple syrup that creates the perfect balance between sweet and nutty. La Social’s millennial pink exterior should give you a hint that you’re in for a sweet surprise before you even walk in the door. The eatery is split into two sections: a bistro-style dining area and a bakery offering coffee and freshly baked treats. The latter’s aromas waft through the MiMo District every morning. Try the guava and pistachio cheesecake featuring layers of vanilla batter and homemade guava marmalade, interspersed with a creamy pistachio butter cheesecake filling and topped with a fluffy cream cheese buttercream frosting. If you’ve looked at any Miami foodie photos on Instagram recently, chances are high that you’ve stumbled across some shots of The Salty Donut’s offerings. Opened in 2015 as a family run food truck, the bakery opened a permanent location in Wynwood to satisfy its rapidly growing fanbase. One of its original offerings is the guava and cheese gourmet doughnut; a plump, picture-perfect bite of 24-hour brioche, swirled guava, and a cream cheese glaze that has made the shop notorious for hour-long lines. Fill up on a cold brew coffee and doughnut to start the day before wandering through the neighborhood’s larger-than-life street murals.